TORONTO – With only 30 days until the the FIFA WOMEN'S WORLD CUP CANADA 2015 kicks off, Bell Media's CTV and TSN today announced their broadcast team for the tournament – the largest women's sporting event in the world. 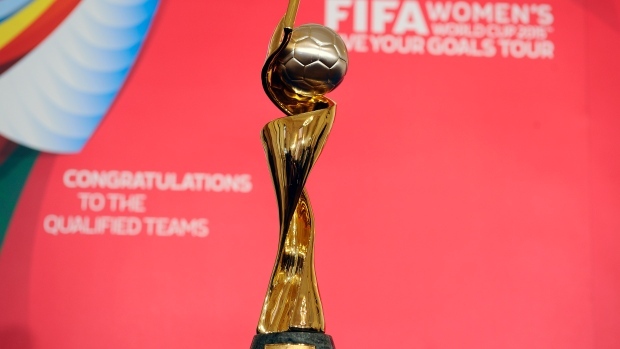 The networks' roster of hosts, commentators, and analysts lead CTV and TSN's pitch-to-pitch coverage of the FIFA WOMEN'S WORLD CUP CANADA 2015, which begins Saturday, June 6 at 6 p.m. ET on CTV with Canada vs. China live from Edmonton. CTV/TSN's coverage of the FIFA WOMEN'S WORLD CUP CANADA 2015 will feature the following broadcasters. Top row (L-R): Jennifer Hedger, James Duthie, Luke Wileman, Jason deVos, Kara Lang, Brian Williams, and Kristian Jack. See below for additional details on CTV/TSN's broadcast team for the FIFA WOMEN'S WORLD CUP CANADA 2015™. On-Site Panel: TSN's James Duthie hosts the networks' coverage featuring the Canadian women's national team. The Canadian Screen Award-winning host will be on-site for all Canada matches alongside TSN soccer analyst Kara Lang, a former Canadian women's national team player and one of the most well-known names in Canadian soccer. Calling all Canada matches are TSN's acclaimed soccer broadcast team of play-by-play announcer Luke Wileman and analyst Jason deVos. Wileman and deVos called the Canadian women's national team's dramatic semifinal and bronze medal matches at the London 2012 Olympic Games. The semifinal match garnered an average audience of 3.7 million viewers – ranking as the Games' second most-watched event in Canada. In-Studio Panel: SPORTSCENTRE's Jennifer Hedger hosts CTV/TSN's in-studio coverage of the FIFA WOMEN'S WORLD CUP CANADA 2015™ against the backdrop of a brand new set that debuts just in time for the tournament's opening match. Joining Hedger in the all-new TSN Studio are TSN soccer analyst Kristian Jack and analyst Clare Rustad, a new addition to the roster. Jack offers his views on teams' tactics and strategies, while Rustad draws on her five years with the Canadian women's national team to deliver insight and analysis on the tournament. Features: TSN/CTV sportscaster Brian Williams fronts a slate of original features on women's soccer and the Canadian women's national team. Additional details on these features will be announced in the coming weeks. SPORTSCENTRE: Reporter Sheri Forde covers the Canadian women's national team all tournament long, delivering daily updates for Canada's #1 sports news and information show. Social Reporters: CABBIE PRESENTS host Cabral 'Cabbie' Richards and THE SOCIAL's Kate McKenna – a former CIS soccer player – join the networks' coverage of FIFA WOMEN'S WORLD CUP CANADA 2015™ for a series of fun segments that go beyond the pitch. TSN Radio: Gareth Wheeler hosts TSN Radio's national coverage, which includes live matches as well as pre- and post-match shows. Calling all matches across TSN Radio are play-by-play commentator Dan Dunleavy and analyst Andrea Neil, former member of the Canadian women's soccer team. Coverage airs nationally across TSN Radio 1050 in Toronto, TSN Radio 690 in Montréal, TSN Radio 1290 in Winnipeg, TSN Radio 1200 in Ottawa, TSN Radio 1260 in Edmonton, and TSN Radio 1040 in Vancouver.